This 29.5" oversized gallery wall clock features a significant metal case with an aged copper finish. 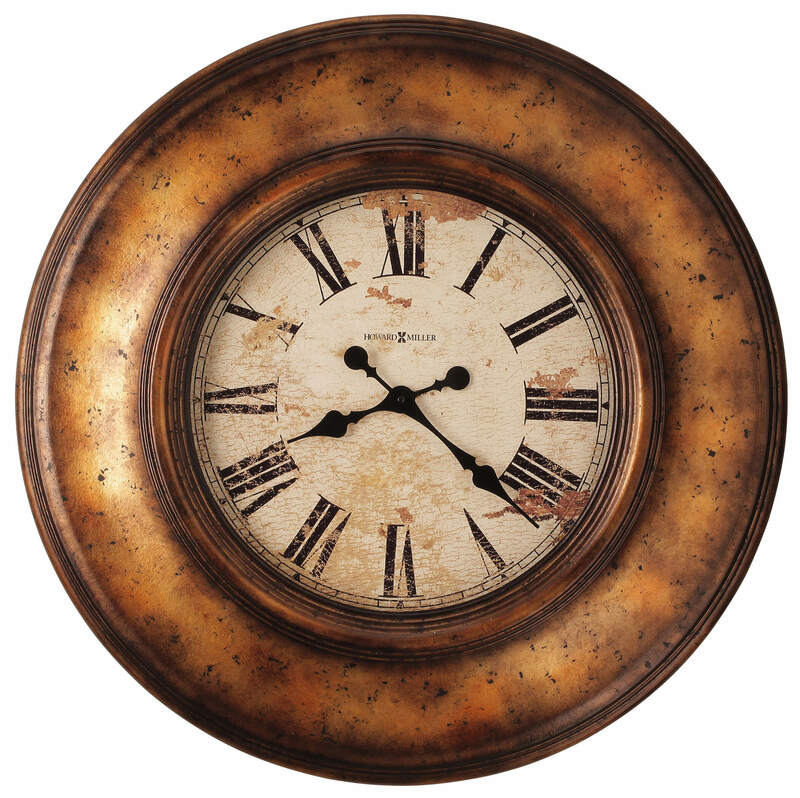 Antique dial with worn black Roman numerals, worn black hands, and glass crystal. You will save $93.90 (30 %) on this Howard Miller Copper Bay 625-540.